Editor’s note: Dwight A. McBride, Emory University provost and executive vice president for academic affairs, shared the following announcement with the Emory community on Sept. 10. There are many critical decisions to be made in the coming academic year concerning Emory's future direction, and chief among those is this selection of the next dean of Emory Law. As I begin my second year as Emory's provost, I can appreciate how profoundly important this transition is both for Emory and for Emory Law, and I am dedicated to being thoughtfully engaged in my approach to identifying the next dean of our law school. The process leading to this selection is underway and I have named a search advisory committee that will be ably led by Erika James, who is the John H. Harland Dean of the Goizueta Business School and professor of organization and management. Dean James has my utmost trust and confidence as an exemplary and thoughtful academic leader. I cannot thank her enough for agreeing to lead this critically important committee on behalf of the university. The Search Advisory Committee, listed below, includes Emory faculty, students, staff, and alumni. In addition, we have selected John Thornburgh and Werner Boel, LLM of Witt/Kieffer as search consultants. John and Werner are both highly regarded as experts in higher education leadership placement and we look forward to working closely with them. Emory community input will be critical to making this search successful. 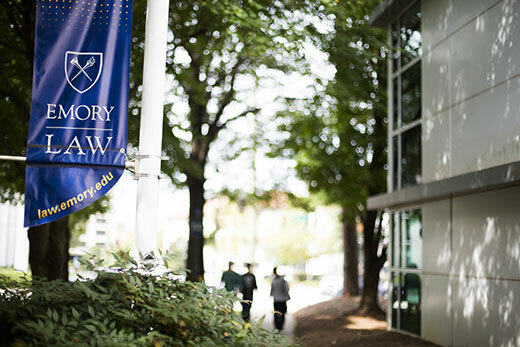 The search firm consultants, in tandem with the Search Advisory Committee, will arrange for town halls and other venues to hear from members of the Emory Law community and beyond about what you see as the most important attributes for the next dean of Emory Law. Dates and locations will be made available soon. We hope that you will attend and be part of the process. Please visit the Office of the Provost website for more information and to follow the progress of the search. Finally, I want to thank Interim Dean of Emory Law James B. Hughes Jr. for his service to the Emory community. His leadership of Emory Law at this crucial time has helped us to lay the groundwork for a thoughtful, strategic search for the school's next dean. I look forward to working with you on this search for our next dean of Emory Law, and to helping strengthen its standing as one of the nation's premier law schools.